KÃNNEN GlasHaus has created a network of distributors to market its distinctive European-style windows and doors. KÃNNEN GlasHaus manufactures European-style windows, which feature a unique tilt-and-turn mechanism. At the turn of a handle, the windows tilt in at the top or turn inward. A trip to the European countryside often reveals the beauty, grandeur and âOld Worldâ charm of its villages and cottages. Distinctive solid wood windows and doors are a part of the charm surrounding many of these structures. European windows, with their intricate profiling and design, are renowned for their tilt-and-turn feature â they tilt in at the top with a turn of the handle or turn inward for a full opening. Skilled European woodworkers have passed the mastery of this craft down from generation to generation. 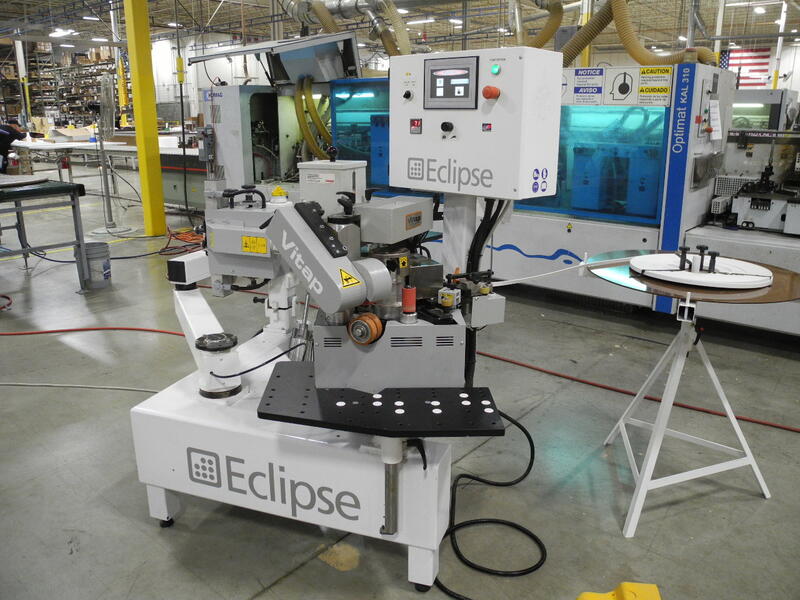 Although these windows are not yet prevalent in the North American market, one Colorado company, KÃNNEN GlasHaus Inc., is looking to change that. Mike and Mimi Windemuller, president and vice president of marketing and design, respectively, first noticed the potential U.S. market for European-styled windows while visiting a job site in the Rocky Mountains southwest of Denver. The owner had imported German windows for his home. âWe just saw a great product, and we saw that there was a need for it,â Mimi adds. Eventually, they decided to produce their own and, today, KÃNNEN manufactures all of its products in-house. KÃNNEN GlasHausâ windows and doors are completely custom and can be manufactured in a variety of shapes and sizes. One of the first key decisions the Windemullers made was to brand the company themselves. Because of the legacy of woodworking in European countries like Germany, manufacturers generally have family names. Finding the right suppliers was crucial to the companyâs early success. With extensive research, the Windemullers went to Europe and interviewed roughly 15 to 20 different manufacturers: Austrian, German, French and Italian. They eventually settled on German products, due to their reputation for engineering, Mike says. KÃNNEN imported products for approximately seven years; however, due to the highly customized nature of these types of windows and doors, the Windemullers eventually decided that manufacturing the products themselves would be more efficient. âIt was a challenge getting the products over here,â Mike says. âThe cultural valley between here and Western Europe is vast. We Americanized the product as much as the manufacturers would allow us.â But, there were issues surrounding thresholds, which have to be a minimum of Â¾ of an inch above a finished floor, and locking mechanisms for the doors. By developing the manufacturing stateside, âit gave us an opportunity to fully Americanize the doors by incorporating things that we are accustomed to in the United States, like active exterior door handles and a traditional locking cylinder,â Mike explains. Another problem that arose with importing the products was that after 9/11, shipping became increasingly difficult due to the stringent security policies that were put in place. Also, it took a month to ship the products and if there were problems or the products were damaged, replacing them cost valuable time and money. 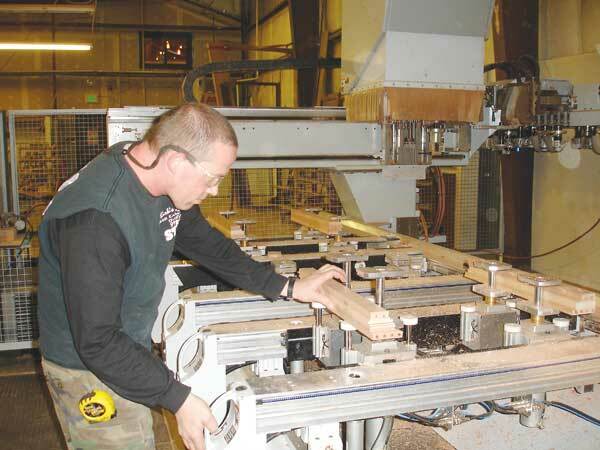 An employee operates a Homag CNC router from Stiles Machinery. The Windemullers spent three years researching what would be required to manufacture their European-style windows and doors in America. âTake what we thought and multiply by 10,â Mike laughs. Other key equipment in the shop includes the Kentwood M609X moulder; an Omga T421 automatic cross-cutting saw and an Omga BA825 system for sash finishing; a Stegherr KSF-2 cross joint milling machine and a Cefla Falcioni finishing line. With the extensive research that the Windemullers conducted, they were able to take hundreds of years of experience from the German manufacturers and condense it â developing the appropriate machinery, replicating the products they previously had imported and further enhancing those products. Mike also stresses how important the intricate profiling is to the success of a window. âAlthough it is easy to make a window tilt, he says, if you do not profile the sash and frame correctly, the product will not stand the test of time, specifically from an operational standpoint. We replicate what the Europeans are doing to a âT,ââ he adds. The Windemullers say that it was tough getting into the market. They started out by meeting prospective buyers with samples of the European-style windows in the backseat of their car. Now KÃNNEN has a network of distributors throughout the country. âAnd weâre looking to bring on a few more distributors,â Mimi says. Their goals include continuing to improve lead times, and they hope to further expand the distribution of their products by creating a satellite manufacturing facility in another market. The Windemullers say they are âproudâ to offer a European tradition that is manufactured in America. âWe are a local, family-owned company fueling the American economy and trying to bring jobs and products back to America,â Mimi adds.